The Galaxy celebrated in Star Wars when the Death Star was destroyed, but not everyone was happy. Imperial stormtroopers, for example, have a different perspective. 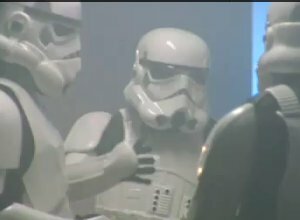 CollegeHumor showed us how the Empire reflects on the anniversary of the Death Star's explosion in this hilarious video. What did you think of the video? How else might the Empire have mourned the loss of the Death Star?